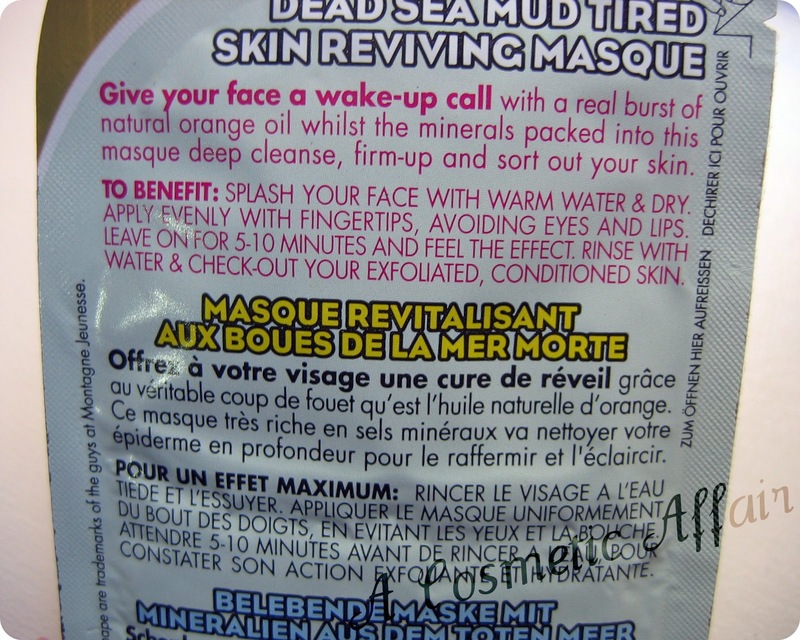 The Montagne Jeunesse Dead Sea Mud Tired Skin Reviving Masque Dead Sea Minerals Enriched (what a mouthful!!) 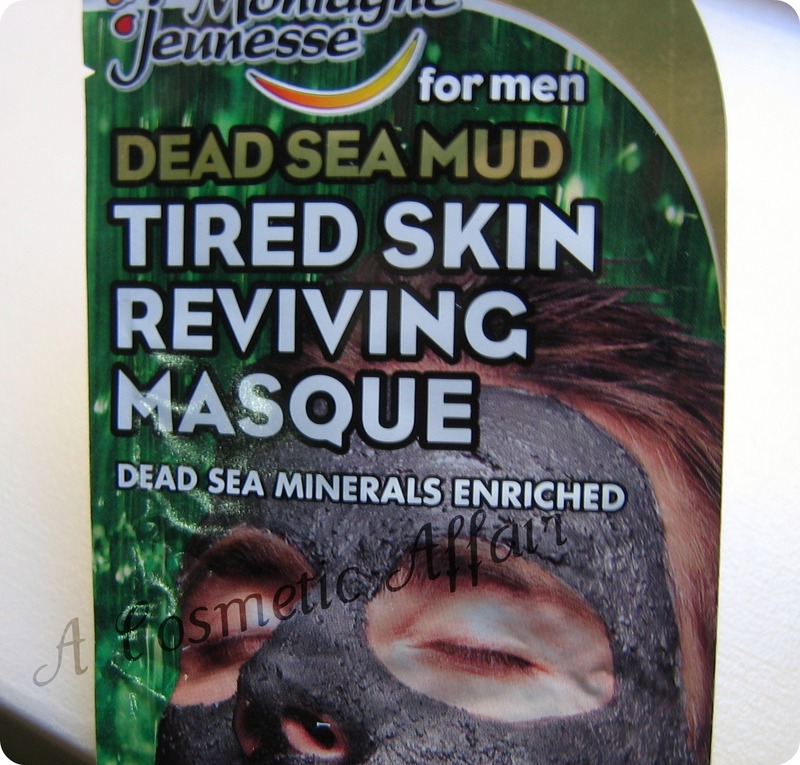 is the first masque from Montagne Jeunesse that I have seen which is geared towards men. The packaging itself is also very different from the others I’ve tried and seen and the scent of this masque is not the usual fruity sweet smell. I found this masque to be quite powerful on my skin. I washed my face with warm water and patted it dry as instructed and then applied an even thin layer to the skin. 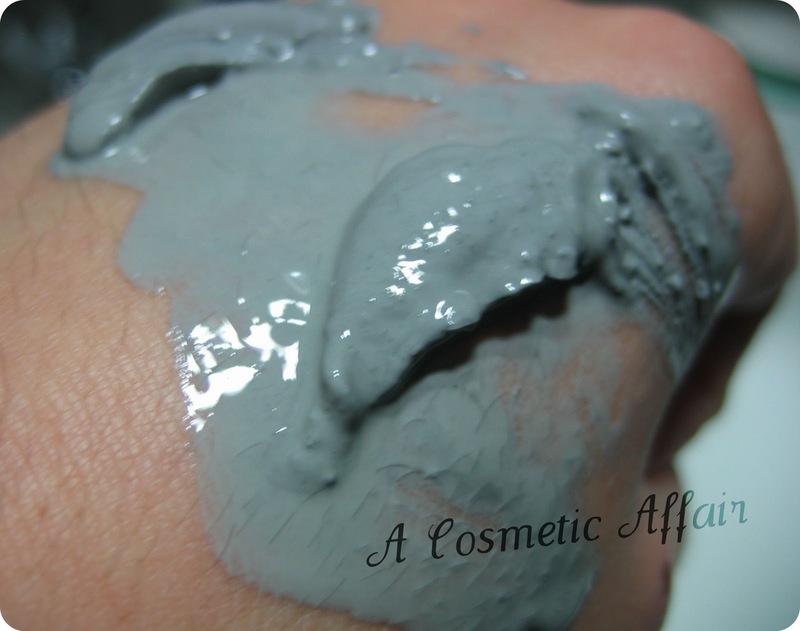 The masque start to dry quickly and you can feel it tightening the skin a little and a tingling on the skin. After about 10 minutes I removed it with warm water to dissolve it and then splashed my face with cold water to close the pores. 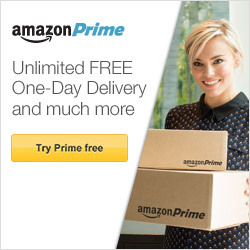 My skin felt very dried out from any oils, and as the package says it felt like I had exfoliated my skin with it too. Afterwards I applied a nice moisturizing cream to my face to replenish and hydrate my skin. I must say I was a little scared of the effects this masque would have on my face, but it did not break me out and it did not give me any dry patches as I thought it would do. I bought this masque for €1.20 from a local store in Malta. So, conclusion I like this masque, it helped reduce some pimples I had and left my skin feeling very smooth. If you can get past the rather unique smell this has, then do try it out, and even though I am not a man I still love to try new and unique products. Have you ever tried this masque? Which is your favorite masque? Mud masks are great! They are really good for breakouts. @Lara: its a local store near me, hope you get it too. @Beauty shades: they really do dry the skin a lot, but if you hydrate after they work just fine. I find mud masques are more powerful than others. @Val: It really worked amazingly on some breakouts I had. Just used it.. yeah, skin looks exfoliated and dry. I used aloe vera mask to hydrate my face after that.